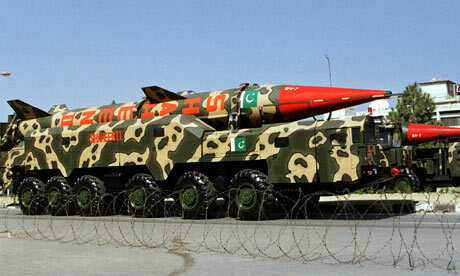 LAHORE: With detonating nuclear devices on May 28, 1998 under Nawaz Sharif, Pakistan acquired the status of being seventh world nuclear power. However it is ironic to note that 15 years down the road, the country still continues to struggle stay afloat on the economic front as compared with other nuclear powers. North Korea is also considered a member of the Club, it is believed that this nation does not publish accurate economic data. It would therefore not be in order to compare Pakistan�s economy with that of North Korea in absence of any reliable data. Similarly, we won�t be comparing Pakistan�s economy with that of Israel, which according to President Jimmy Carter�s claims �has 150 or more nuclear weapons.� and Israel still denies. South Africa is believed to have become a nuclear power after conducting a clandestine nuclear test in the Indian Ocean in 1979 along with Israel, but has disassembled its arsenal and signed the NPT in 1991 with better sense having prevailed. So, here follows a comparative analysis of the economies of nuclear club members with that of Pakistan:Remember, Pakistan had gone on to freeze its Forex reserves soon after its May 28, 1998 nuke tests in a bid to prevent the flight of capital from country�s capital and currency markets. As deep recession had hounded the country in its post-nuclear test period, inevitable economic sanctions were slapped and trade agreements by Europe, US and the Asian bloc were abrogated. We all know that by the end of the second term of Sharif government, the economy was in distress, with poor Forex reserves, soaring unemployment, surging inflation and rising foreign debt levels�leading to suspension of IMF aid. In fact, when Sharif was ousted by General Musharraf in October 1999, the country was said to be limping and was on the verge of an economic default.Pakistan today possesses a GDP (Official Exchange Rate) of $230.5 billion with a real growth rate of 3.7 per cent. The Pakistani GDP per capita is believed to be approximately $2,900, the unemployment rate here is said to be about 5.6 per cent, the Public Debt rests at 50.4 per cent of the GDP, some 29.8 per cent of the Pakistani population lives below poverty line, the industrial output growth rate stands at a dismal 3 per cent, exports are hardly $24.66 billion, imports are calculated to be about $40.82 billion, the forex and gold reserves rest at a rather poor level of $13.5 billion (November 2012 figures). The country�s external debt stands at $55.98 billion, taxes and other revenues are currently making up for just 12.8 per cent of the GDP, inflation at 11.3 per cent and direct foreign investment at home is $22.38 billion. Totally opposite to what had happened in Pakistan after it had fired its nuclear arsenal in 1998, the US had seen a golden era of capitalism between 1945 and 1970, after it had conducted its nuclear tests in 1945. Around $200 billion in �War Bonds� had matured for the US after the end of World War II and the country saw its middle class swelling, along with its GDP and productivity. This growth was distributed fairly evenly across the economic classes and the US Congress created the Council of Economic Advisors to promote high employment, high profits and low inflation. The Eisenhower administration (1953�1961) accelerated the public works programmes, eased credit and reduced taxes to trigger the economic boom, though the recessions of 1945, 1949, 1953, 1958, and 1960 did see a drastic decline in GDP. Despite all difficulties, recessions and blockades, the United States today has a very impressive GDP (Official Exchange Rate) of $ $15.65 trillion. It has a real growth rate of 2.2 per cent, GDP per capita of $49,800 and an unemployment rate of 8.2 per cent. While 15.1 per cent of the American population lives below the poverty line, its Public Debt is 73.6 per cent of GDP, Taxes and other revenues account for 15.7 per cent of the GDP, the industrial output growth rate is 4.1 per cent, exports touch the $ 1.612 trillion mark, imports stand at $ 2.357 trillion, inflation is 2 per cent, reserves of foreign exchange and gold amount to $ 148 billion, the external debt is $ 14.71 trillion, the Stock of Direct foreign Investment at home is $ 2.824 trillion. Russia, the successor state to the Soviet Union, had acquired nuclear capability in 1949. Today, the Russian GDP (Official Exchange Rate) is $2.053 trillion. The real growth rate of this country is 3.4 per cent, the GDP per capita is $ 17,700, it has an unemployment rate of 5.7 per cent and 12.7 per cent of its population lives below the poverty line. The Russian Public Debt is just 12.2 per cent of GDP, the Industrial output growth rate is 2.6 per cent, exports rest at $ $530.7 billion, imports stand at $ 335.4 billion, the Reserves of Foreign Exchange and Gold rest at $ 537.6 billion, the external debt is $ 565.9 billion. Meanwhile, Taxes and other revenues constitute 20.6 per cent of the Russian GDP and inflation here is about 5.1 per cent. The Stock of Direct foreign Investment in Russia is $ 504.2 billion. UK became a nuclear power in 1952. Today, the United Kingdom has a GDP (Official Exchange Rate) of $2.434 trillion with a real growth rate of -0.1 per cent. The British GDP per capita rests at $36,700, unemployment rate stands at 7.8 per cent, 14 per cent of the British population lives below poverty line, the Public Debt is 88.7 per cent of the GDP, the Industrial output growth rate is -1.2 per cent, exports amount to $ 481 billion, imports are $ 646 billion, the Reserves of Foreign Exchange and Gold rest at $ 94.54 billion and the external debt stands at $ 9.836 trillion. Taxes and other revenues make up 40. 9 per cent of the British GDP and inflation is 2.8 per cent. Similarly, the Stock of Direct foreign Investment on the British territory is an impressive $ 1.262 trillion. France had made and tested its nuclear bomb in 1960. The French GDP (Official Exchange Rate) today stands at $ 2.58 trillion, the real growth rate here is 0.1 per cent, the French GDP per capita rests at $ 35,500 and the unemployment rate is measured at 10.3 per cent. While 7.8 per cent of the French population lives below the poverty line, the country�s Public Debt is 89.9 per cent of the GDP, the Industrial output growth rate is 2.4 per cent, exports are resting at $ $567.5 billion, imports amount to $ 658.9 billion, the French Reserves of Foreign Exchange and Gold are counted at $ 171.9 billion and the country�s external debt stands at $ 5.633 trillion. Taxes and other revenues make up for 52 per cent of the French GDP and inflation here is 1.3 per cent. The Stock of Direct foreign Investment on the French soil is $ 1.11 trillion. China had joined the nuclear club in 1964. Today, the Chinese GDP (Official Exchange Rate) rests at $8.26 trillion, the real growth rate in the country is 7.8 per cent, the GDP per capita is $9,100 and the unemployment rate is 6.4 per cent. Around 13.4 per cent of the Chinese population lives below the poverty line, the Public Debt here is 31.7 per cent of GDP, the Industrial output growth rate is measured at 7.9 per cent, exports are calculated at $ 2.05 trillion, imports are estimated at $ 1.817 trillion, Inflation of 2.6 per cent, the Chinese Reserves of Foreign Exchange and Gold rest at $ 3.312 trillion, the nation�s external debt stands at $ 770.8 billion, its Stock of Direct foreign Investment at home is $ 1.344 trillion. Taxes and other revenues are 22.6 per cent of the Chinese GDP. India has a GDP (Official Exchange Rate) of $1.947 trillion and is currently witnessing a real growth rate of 6.5 per cent. The Indian GDP per capita is estimated to be $3,900, its unemployment rate is calculated at 9.9 per cent, around 29.8 per cent of the population in the world�s largest democracy lives below the poverty line, the inflation here is 9.2 per cent, the Indian Public Debt rests at 51.9 per cent of its GDP, the Industrial output growth rate here is 4. 8 per cent, the exports are valued at $ 309.1 billion, the imports are counted at $ 500.3 billion, the Indian reserves of foreign exchange and gold rest at $287.2 billion, the external debt stands at $299.2 billion, the Stock of Direct foreign Investment here is $256.6 billion. Meanwhile, taxes and other revenues make up for 8.8 per cent of the GDP. Although as compared with the phenomenal growth of economies of other members of the nuclear club, it would be na�ve to conclude that the progress and prosperity in most of the countries other than Pakistan is indebted to nuclear explosion. Many other factors like lack of corruption, education, devotion and research have a predominant role in extraordinary growth of their economies. They have worked with a national zeal for the uplift of their country. Alas we lack that inspiration and dedication.